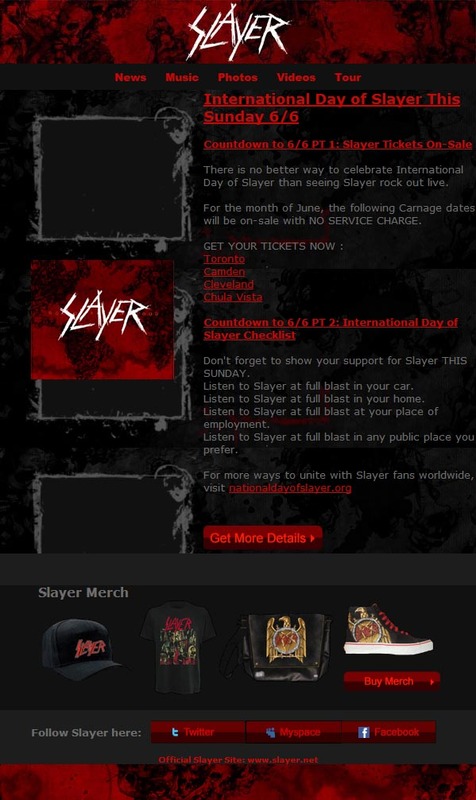 Pardon us for geeking on this, but it's fairly awesome to see the official Slayer mailing list encouraging people to celebrate the International Day of Slayer. Slayer has brought you hours of intense music, great concert experiences, and a clear symbol of what life should be more like. Why not take a few hours out of one day a year to celebrate them?